A complimentary Kids Club is available for children 5-9 years where children can make new friends, have lots of fun and learn about and experience the Fijian culture. Kids Club operates between 9.00am and 12noon, 2.00pm to 5.00pm and from 6pm and 9pm. All fares include shipboard accommodation, all meals, guided village, school and island tours, snorkelling and glass bottom boat excursions, daily island stopovers and water activities, hikes and Kayak safaris, on board entertainment, kids club (5-9 yrs), onboard Wi-Fi, 24-hour self-service tea and coffee bar, post cruise transfers to Nadi and Denarau hotels and Nadi airport and use of the ship's facilities including a swimming pool, spa’s, mini gym, sun deck, cocktail bar and library. Since leaving Rabaul we have been steaming full ahead into the territorial waters of the Solomon Islands. Once shared between the German and the British, the German claim to the islands was relinquished during the aftermath of WWI. Independence came to the Solomons in 1978 and after a period of turmoil and civil war in the late 1990s and early 2000s today the islands have returned to their peaceful ways, a lifestyle that has earnt their nation the nickname of the “happy isles”. To allow for official clearance procedures we were required this morning to make a port call in the town of Gizo on the island of Ghizo, the administrative capital of the Western Province of the Solomons. Being Christmas eve the small outpost of Gizo was very quiet. In addition, a large portion of the population are Seventh Day Adventists, and being today was Saturday and Saturday is their Sabbath, there were very few carvers and merchants selling their wares. However casually wandering the streets we were still able to get a good feel for this sleepy little township. Lining the main street were multiple “Chinese stores”, the generic name given across Melanesia to the general stores started by early Chinese migrants that sell everything from hardware to underwear under the one roof. The PT-109 bar, named after the patrol boat captained by one John F Kennedy that was sunk just offshore from Ghizo during WWII, had even sold out of beer, apparently the aftermath of a giant pre-Christmas party the night before our arrival. 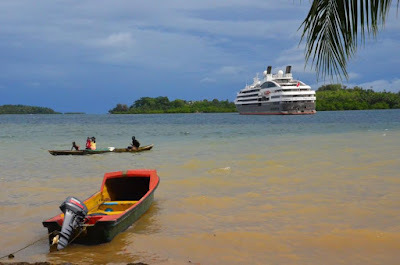 But Gizo served its purpose of meeting the arrival regulations in the Solomon Islands and with Solomon Island’s officials onboard now this allowed us to move offshore slightly to Njari island to spend the afternoon enjoying the environment around us. Many of you will know the original itinerary plan was to visit Kennedy Island. Kennedy Island was the island where the crew from PT-109, including JFK, hid from the Japanese and were eventually rescued through the efforts of an Australian Coastwatcher. However Kennedy Island today is owned by the Gizo Hotel and is currently being turned into a waterside bar and restaurant, and apart from essentially being a construction zone, much of the offshore reef has been destroyed. So we sought out another island as a substitute and by all reports Njari was the perfect substitute. Those same afternoon black clouds that have appeared almost every day once again made an appearance, although the rain itself held off. From all reports the coral and marine life here was impressive with many of you commenting “the best so far” in describing the reef experience this afternoon. Being a French ship we followed the European tradition of celebrating Christmas on the evening of December 24th. Many of you participated in a special pre-dinner Christmas concert in the theatre, which included performances from our younger fellow guests as the “Cool Kids” performing their “Kids-mas” dance presentation, and our fellow guests from Taiwan performing Christmas carols in English and Mandarin together with a traditional Taiwanese song for our entertainment. But the main event was of course our Christmas Dinner, with the executive chef, his entire galley team and of course the restaurant team presenting us with yet another scrumptious feast to cap of our first day in the Solomon Islands. Sneak peak at the progress on our newest ship – and first ever new build - the 100-guest National Geographic Quest. This morning we had a series of tours we could choose from and we were divided up into multiple groups as we each headed off on our adventure. Several of the fittest amongst us joined with their guides to climb the largest of the Rabaul caldera volcanoes, known as “the Mother”. Despite the heat, humidity and steep terrain the climb was successful and everyone made it back with a smile on their face. A large group of us stayed in the immediate Rabaul area to explore the old town now buried under tonnes of ash. We took a drive down the once picturesque Mango Avenue which before the 1994 twin eruptions was lined either side with giant mango trees. One could only imagine how it looked back then as today there is very little evidence to show it was once a bustling town. From Mango Avenue we were then driving on what was once the Rabaul airport. Like the rest of the town the airport has now been moved further down the peninsula, safe from any future eruptions. Off to the side of the airport, under some coconut trees, lie the remains of two WWII aircraft. A twin engine bomber and a single engine fighter, both Japanese aircraft, were destroyed on the ground during the war by American air raids. 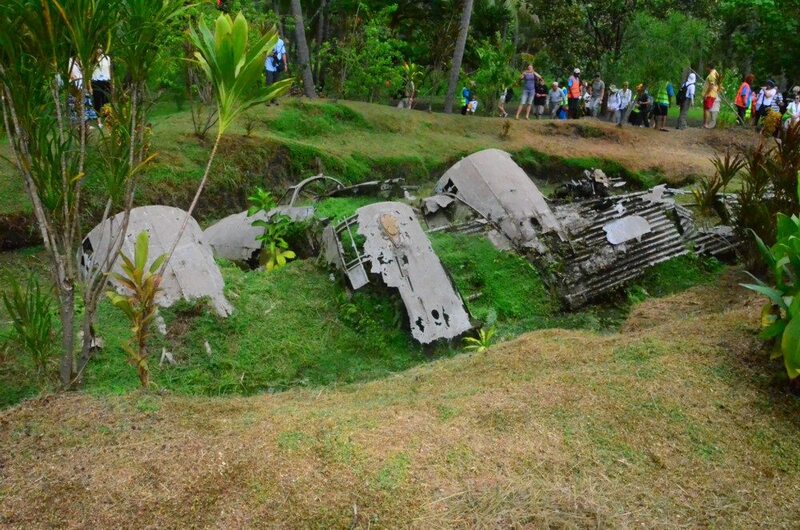 Like the rest of the area they too were buried under the ash but the local Matupit villagers have dug the aircraft out to allow us to be able to view them. 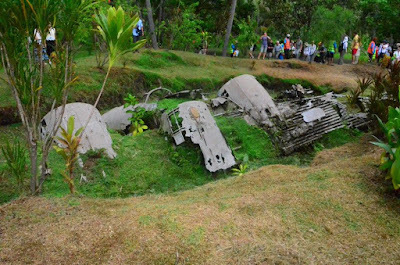 The sulfuric acid produced by the volcanic eruptions has taken its toll on the WWII relics and they most likely will be no longer recognisable as planes within the next few years. Admiral Yamamoto, the infamous Japanese naval commander in charge of the Japanese forces in this region during WWII commanded his forces from Rabaul for a great deal of the war. Hundreds of kilometres of tunnels were constructed under Rabaul during the war and we were able to access part of Yamamoto’s command bunker. Next to the bunker entrance was the old German New Guinea headquarters, which after WWI became the New Guinea Club, and which was also seconded by Yamamoto during WWII for use as a headquarters building. Today the New Guinea Club houses the Rabaul Historical Society, who with very little funding do their best to maintain accurate historical records and displays. The Rabaul highlights tour culminated with a visit to the Rabaul Volcano Observatory which not only houses the equipment monitoring the volcanoes in the caldera but also provides a great view point looking out over Simpson Harbour. Then it was a quick visit to the town fruit and vegetable market as we returned to L’Austral waiting patiently for us at the wharf. 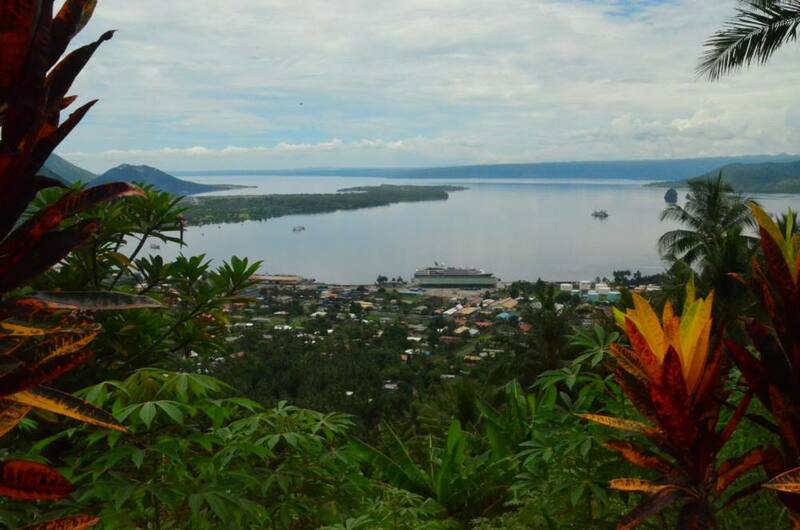 The third tour group today headed out of Rabaul and went further down the peninsula to the redeveloped town area of Kokopo. On the way the Japanese tunnel systems were quite evident and the group was able to see several landing barges still sitting inside the tunnels pretty much as they were left at the end of WWII albeit a little rustier and more decrepit. These tunnels were also dug out by locals after the volcanic eruptions to allow us to be able to view them today. Kokopo also has a reasonable collection of WWII artefacts including artillery pieces and light tanks on display at the town’s historical museum. One of the most significant parts of the Kokopo tour was the visit to Bitapaka. Here lie the hundreds of predominately Australian soldiers killed during the Battle for Rabaul in WWII. A token Australian force, known as Lark Force, had been stationed on the peninsula to defend the airstrip and deep water port. Lark Force was significantly outnumbered when the inevitable Japanese invasion came. Those not immediately killed were captured and taken prisoner. Tragically, as the Australian PoWs were being shipped to Japanese occupied Hainan island off the coast of China to be used as labourers, an American submarine attacked and sank the Japanese cargo ship killing all the surviving Australians from Lark Force. Bitapaka also had a role during WWI. The first Australian casualties of WWI lost their lives here, and their remains also lie in the Bitapaka War Cemetery. The Australians had been asked by the British to land at Rabaul and destroy a German Wireless station at Bitapaka. After a short battle that spread around the peninsula over several days, the Germans were defeated and soon right across what was then German New Guinea, the imperial German flag was replaced with the Australian flag, which then flew over the New Guinea Islands until 1975 when they joined the rest of the mainland and island groups to become the independent nation of Papua New Guinea. Our afternoon was spent in the Pigeon Island group just outside Rabaul Harbour. The dark clouds that seem to have been following us since Tufi built up once again this afternoon but didn’t really give us too much grief. A local family from the Duke of York Islands were camping on Little Pigeon Island for the weekend during their Christmas holidays and while surprised to be suddenly sharing their secret holiday island with 200 international visitors arriving from a giant ship they warmly welcomed us and invited us to share their island. For a great deal of the day we were traversing the Bismarck Sea on our way to the northern tip of New Britain island to the port of Rabaul. The township itself was effectively destroyed in the twin eruptions of Tavurvur and Vulcan in 1994. Numerous earlier eruptions including a significant one in 1937 had really set the scene for what was to come. 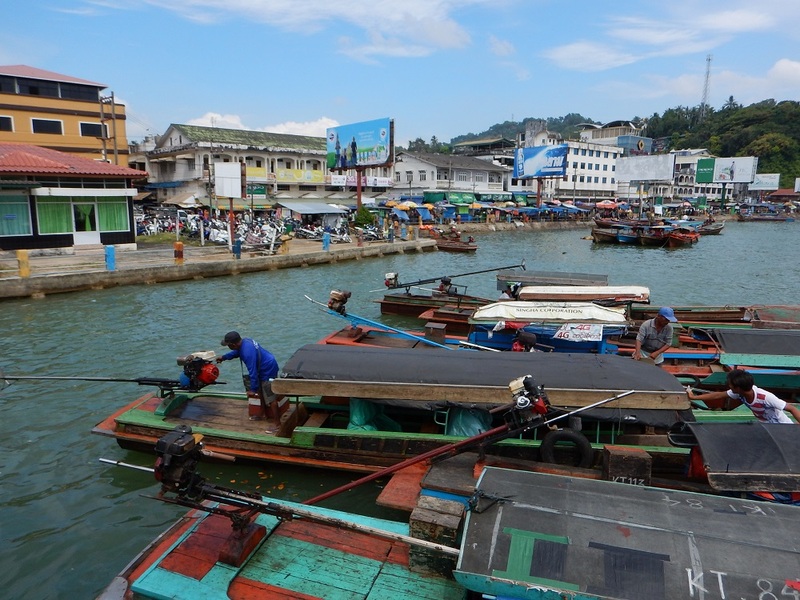 After the 1994 devastation, most of the town’s businesses and residences, and even the airport, moved further down the peninsula to the town of Kokopo which now serves as the provincial capital. The town of Rabaul proper today really only serves as the deep water port with most businesses that remain involved in one way or another with servicing the port and its workers. The approach into Rabaul allowed us to view some spectacular scenery. Most of us lined the rails of the outer decks to marvel at the multiple volcanic peaks surrounding us, numerous fumaroles emitting their telltale plume of steam were easily spotted from the ship as we entered Simpson Harbour. Captain Daumesnil even navigated a short detour in to the adjacent Matupit Harbour right underneath the active Tavurvur to give us all a better view. Meanwhile in the lounge the hotel team had provided a colourful array of the classic French delicacy, the Macaron, to satisfy any sweet tooth cravings we may have had. But the event we were all looking forward to was the trip to Rapitok Village on the edge of the Baining Mountain Range. Boarding our trusty fleet of small buses, each equipped with a local driver and guide we ascended the short distance to Rapitok, arriving just on dark. Taking our place in the semi-circular viewing area set out in front of a large field, a fire was started in the centre with villagers continuously adding firewood to the building conflagration. The purpose of all this was for the Atut – the night-time cultural performance of the Baining people. The Atut is truly a spectacular event. Traditionally used to honour the dead, celebrate successful harvests and most importantly initiate boys into manhood, the Baining men construct giant masks of bark tapa cloth stretched over a wooden framework for the dance. Typically, with very large eyes, the masks represent the spirits of animals hunted traditionally by the Baining. Several large pythons, representing the dangers associated with hunting in the bush were paraded during the performance, each snake held at one end by an uninitiated boy and at the other end a fully initiated adult male. The fire in the centre is built up as the men dance themselves into a trance like state. Covered in a “magic” oil made from local plants and with their feet covered in a special covering of “magic” leaves to help give protection, the men run through the fire sending showers of glowing sparks high into the night sky. 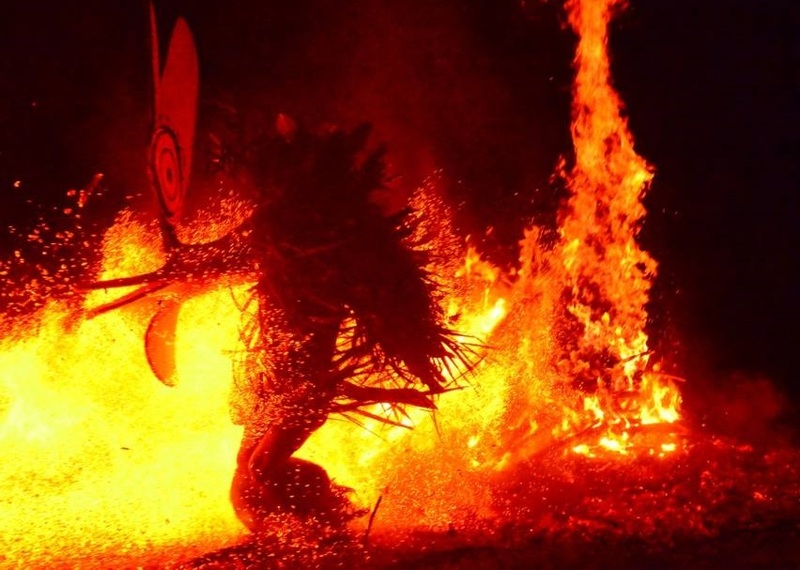 The accompanying vocals and percussion, a very primordial sound made by holding hollowed out logs vertically and literally bouncing them off a solid wooden slab, ebbs and flows, building in intensity and speed as the village men, now effectively totally evolved into the spirit animal their costumes represent, run into the fire, then slowing briefly as the men regroup and gather on the sidelines before once again entering the blazing fire. With Hurtigruten’s new Explorer fleet, explorers and travelers now have the chance to literally – or figuratively – plant their personal flag in some of the most exciting and remote areas in the world. Planting a flag in the wilderness has always been a symbol of achievement. Of course, the meaning of ‘achievement’ can vary from person to person. For some, climbing Mount Everest is a great achievement, while for others just getting through a night in a tent in the backyard is worth celebrating. Now, everyday travelers and explorers can experience the same thrill when they first set foot in a new destination during a Hurtigruten cruise. In 2017 and 2018, travelers can explore Antarctica, Canada, Greenland, Europe, and Spitsbergen or cross the Atlantic Ocean on a Hurtigruten Explorer voyage. Hurtigruten Expedition vessels are specially designed to offer guests up-close wildlife nature experiences; there are also multiple action-packed and educational activities during the journey. This year, MS Fram, MS Midnatsol, and MS Nordstjernen were joined by MS Spitsbergen, taking explorers to the distant shores of the most easterly province of Newfoundland in Canada, deep into Greenland’s fjords, and to the coastline of the British Isles. 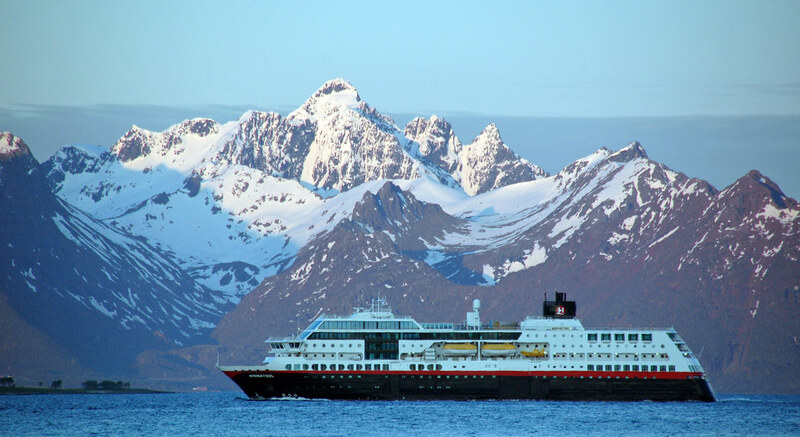 Hurtigruten’s newest ship the MS Roald Amundsen is powered by hybrid electric power for short periods of time and will enable silent and reduced-emission travel in fragile environments like Antarctica. Travelers can easily — and firmly — plant their flags in any of these breathtaking, remote locations. Hurtigruten is working with several explorers to help them plantflags for their personal causes. Johanna Davidsson, a nurse by profession, is passionate about glacier guiding, mountain climbing, skiing, paddling and sailing. This year, Davidsson is heading to Antarctica – on an expedition that will make her the first Swedish woman to ski solo to the South Pole and back, without reinforcements on her way in. She will plant her flag for all those who wish to connect with their inner explorer. Tim Kemple whose works have been published in dozens of outdoor publications and Pete McBride who has spent two decades travelling the world shooting for the National Geographic Society, Smithsonian, Outside, Esquire and companies like Patagonia, Microsoft and The Nature Conservancy. They will be kayaking the melting ice rivers of Greenland to plant their flag to bring greater awareness to the climate challenges facing our planet. Karin Strand, an Expedition Leader for Hurtigruten who takes guests deep into the great wilderness of Antarctica, will plant a flag for a sustainable environment. David Lindo, also known as The Urban Birder, was born and raised in London where he now works as a broadcaster, writer, photographer, public speaker and tour leader. This year he is heading to the Amazon, where he will plant a flag for the Great Auk and help bring awareness to the increasing rate of extinction of species in the rainforest. Oceanwide Expeditions applauds the adoption of the Ross Sea region marine protected area recently adopted by the Commission for the Conservation of Antarctic Marine Living Resources (CCAMLR) and strongly supports more areas of protection. 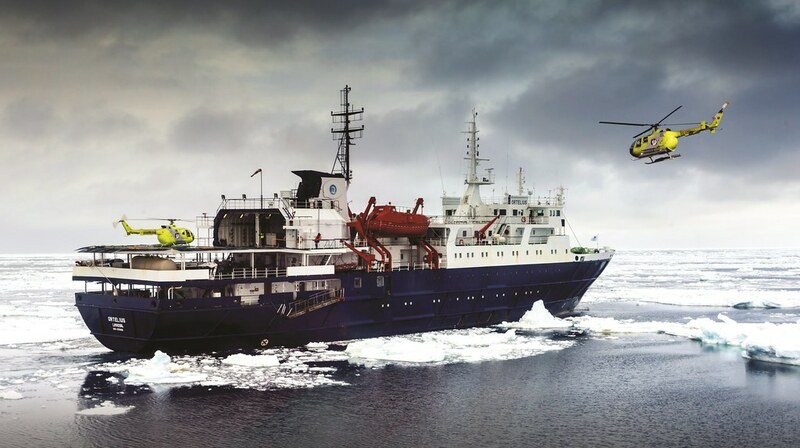 Oceanwide Expeditions organizes two Ross Sea voyages between January and March 2017 with the ice-strengthened vessel Ortelius, including helicopter transfers. As a founding member of the International Association of Antarctica Tour Operators (IAATO), Oceanwide Expeditions advocates and promotes the practice of safe and environmentally responsible private-sector travel to the Antarctic. “We pride ourselves on organizing high-quality polar excursions, with our ships taking hundreds of tourists to the Antarctic each year to experience the Antarctic continent, its ice shelves and islands, and the magnificent Southern Ocean that surrounds it. We believe in a combination of tourism and protection, and are deeply committed to protecting this region so travelers may experience this wilderness area for generations to come. Tourism helps drive conservation on a large scale by exposing individuals to the awe-inspiring Antarctic environment, which then enables them to become ambassadors for the Antarctic’s pristine nature”. To further our environmental goals, Oceanwide Expeditions supports marine protected areas (MPAs) in the Southern Ocean surrounding Antarctica and elsewhere, a process than has been in place for several years. 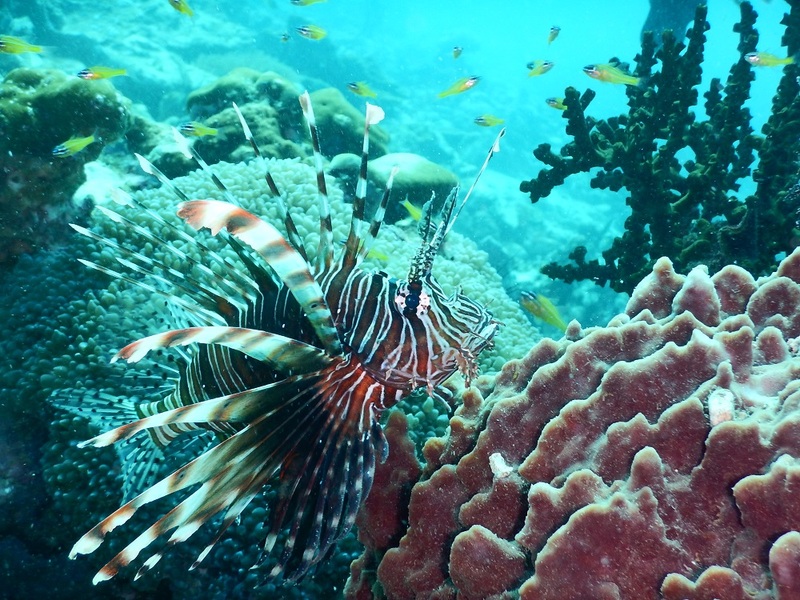 MPAs contribute to protect unique and representative habitats and ecosystems, serve as reference areas for science including climate change science, contribute to building resilience in the face of global climate change, and help ensure the sustainability of fisheries. In 2009, the Commission committed to designating a network of large-scale marine protected areas in Antarctic waters. After initial progress, discussions to create two large MPAs in the Ross Sea and in East Antarctica had been in virtual gridlock since 2012. This changed dramatically in October 2016, when the Ross Sea region marine protected area was unanimously adopted. This protected the first of nine planning domains with an area of over 1.5 million square kilometers — the largest MPA in the world to date. This is only the beginning, as other MPA proposals for the Southern Ocean are in various stages of development. In September 2016, at the International Union for Conservation of Nature’s World Conservation Congress, a resolution passed encouraging an increase in the percentage of marine areas in MPAs to at least 30 percent by 2030. As one of the responsible users of the Southern Ocean, Oceanwide Expeditions looks forward to the enforcement of the Ross Sea region marine protected area in 2017 and the adoption of further MPAs. We encourage CCAMLR member governments to continue the process of establishing a network of permanent protected areas. Furthermore, we encourage other Antarctica Tour Operators members to support a complete ring of MPAs around Antarctica. Leaving the rain of Tufi behind us, we awoke to find the sun shining down upon us as we anchored off the island of Kitava in the Trobriand Islands. Before us the clear blue waters of Nuratu Lagoon separating the larger island of Kitava and the much smaller uninhabited island of Nuratu beckoned to us while off to the distance we could see the coast line of the largest island in the Trobriand group, Kiriwina. To fit in with the local customs on Kitava we needed to be welcomed as group before we set off to explore our surrounds. Using our trusty Zodiacs, one by one we landed on the white sand of Nuvo Beach, where we were welcomed by two young girls in full traditional Trobriand Island dress distributing flower leis. Taking our place under the shade of a large tree it didn’t take long for the official cultural welcome to begin. Several different cultural groups, representing different villages on Kitava performed traditional dances as part of our welcome. Some of the dances were traditionally used before going to war, while others were performed during times after battles, to make peace with your enemies. At the end of the official welcome, the local tour company presented Captain Daumesnil with a beautifully carved bowl in the shape of fish, with intricate inlays made from nautilus shell. For myself, as many of you now know, I have an adopted family on Kitava, and my family also wanted to give Captain Daumesnil a gift as this was his first visit to Kitava. I had overheard the Captain admiring the Trobriand feather headdresses so a quick word with my uncle Jack Cameron and a feather headdress arrived for the Captain. The Captain obligingly wore the head dress bringing a rapturous round of applause and rousing cheers from the locals and visitors alike. The rest of the morning was ours to explore the island. Some of us made the trek up to Kumwagla Village while others wandered the beach, or walked to the grave of King Cameron. Cyril Cameron was a Tasmanian employed by the Australian colonial administration as a Patrol Officer. Patrol Officers were used to spread the rule of law and order throughout the Australian colony before independence. When Cameron arrived on Kitava, so the legend goes, he immediately fell in love with island and never left. Taking several local wives and having many children and grand-children, he became known as the King of Kitava and his legend, and his descendants, live on today. Jack Cameron who presented the Captain with his gifts is one of two surviving children of King Cameron alive on Kitava today. His grand-children have gone on to hold many important positions including at times one of his grand-sons being the Deputy Governor of Milne Bay Province. After lunch it was time to get into that beautiful blue water. The strong winds we had experienced at Tufi yesterday were not entirely behind us however, and while the rain of yesterday had passed, the strong winds on top of strong currents made the snorkeling a little more challenging than we had hoped it would be. But the sheer beauty of the beaches and the incredibly warm people who welcomed us was always going to make the afternoon enjoyable no matter what. There was still great opportunities despite the conditions to view the coral reefs and their associated marine life. The last great chief of Kitava passed away in the mid-2000s. Those of you who walked to main village would have seen his elaborately decorated grave at the entrance to the village. The late chief was awarded a medal from the Queen for his services to the community and the family proudly display the medal to anyone who asks. The hereditary chiefdom of the Trobriands follows the matrilineal line, however there has been a dispute amongst the people of Kitava who is the rightful chief today due to no suitable male heirs on the rightful matrilineal line. The Grand Chief of all of the Trobriands, based on Kiriwina declared the oldest son, Tauri, as the next chief. Tauri’s house was the decorated red and white house on the left as you walked into the main village. However the majority of people on Kitava preferred the younger brother Mwaga to be their leader. Given the Australian’s had introduced an elected governmental representation system based on the Australian model, the people of Kitava now also vote for their elected representative, think of it as their local council representative if you wish. For 25 years running without fail the people of Kitava have elected the younger son Mwaga to be their elected chief. He has never lost an election and usually now the position goes uncontested, such is the support from the island residents. For me, knowing the local politics of the island personally, I found it interesting to note that the hereditary chief was not there to welcome us, but the elected chief, Mwaga stayed with our group all afternoon to ensure we felt as if we were warmly welcomed to this island paradise. It’s hard not to feel a connection with these beautiful islands and beautiful people, even after only a day visit such as this, but I have no doubt all of us now have a place in our hearts for the Islands of Love, my adopted home in the South Pacific, the Trobriands! Tufi has become one of the best-known destinations in PNG, primarily because of the world class SCUBA diving offshore serviced by the Tufi Dive Resort. But for us onboard L’Austral it was the exposure to the culture of this region that will no doubt stay long in our memories. The area of Cape Nelson, where we were today, includes multiple fiord-like canyons; vertical cliffs either side descending directly into the sea. If we want to be accurate in their geological description these fiords are what are known as rias. A fiord is created by glacial action while a ria is created by volcanic lava flow. Either way the scenery is dramatic and the rain we experienced overnight and during the day had created several instant waterfalls flowing from the vertical cliffs down to the sea. We were split into different groups today to visit the village of Kofure inside McLaren Harbour the next fiord north of Tufi Fiord itself. Some of us travelled by ship’s Zodiac, some in boats provided by the dive resort but ultimately we all transferred to local dugout outrigger canoes for the final leg to Kofure. Sitting on top of our canoes, the local villagers, many dressed in their traditional bilas or “finery”, paddled us up the shallow waterway into the working area of Kofure. After negotiating the somewhat muddy landing at the village, warriors painted black as is the tradition when going to war challenged our arrival on their land. 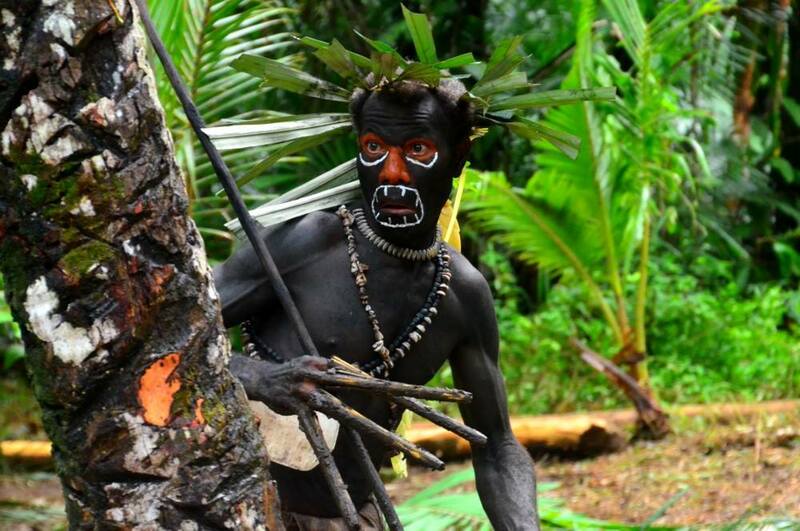 Right across Melanesia the warrior challenge is a common practice when strangers arrive in someone else’s tribal area. As we are still alive to tell this story, we were obviously deemed as friendly and allowed to continue on our way. The people of Tufi are an interesting mix of culture and genetics spanning tens of thousands of years of migrations and history of New Guinea. The people of Tufi are genetically and linguistically part of the earliest migrations to the area as part of the larger “out of Africa” movement of early humans. They have only lived in the Tufi area itself for the last few hundred years, having for thousands of years lived much further inland in the area’s mountainous interior. As erupting volcanos and population growth limited their land choices inland they “negotiated” through both tribal wars and straight forward commercial purchases the acquisition of the rugged and relatively infertile coastal lands atop the ridge lines around Tufi. Here the inland peoples were exposed to the much more recent arrivals of the Austronesian or maritime migrations, the same migrations that went on to give us the Polynesians further east in the pacific. These migrations stayed in the area long enough to influence the Tufi people who adopted their facial tattooing processes, their use of clay pots and some linguistic adaptations, but their maritime visitors did not stay long enough to have a significant influence on their genetics. As we were led by local guides through the Kofure village working area we witnessed demonstrations of the facial tattooing process and the process involved in making the sago based starch food product that is the year-round staple in this area. Traditionally all local women were required to have the full-face tattoos applied at the time of reaching puberty however know the process is an individual choice. In the traditional sense a woman who was not tattooed could not participate in custom dance performances and was not eligible for marriage. Sago, the starchy pith of the Sagu sagu palm “trunk” is rather tasteless and bland but given the infertile and swampy ground the Tufi people live on, sago has become their main food source with the addition of protein in the form of fish. Through-out the day we were also blessed with access to the white sand beaches and surrounding reefs of Kamoa. Just behind the beach Chief Lucas and his family live in traditional houses and are the customary custodians of the Kamoa area inside the Tufi Fiord itself and graciously gave us permission to use “his” beach. Late in the day the wind picked up considerably making the Zodiac transfers back the ship quite adventurous to say the least. Leaving the rolling seas and misty skies behind us, it’s time to sail to the Islands of Love to continue our adventure. For your own copy of From The Bridge, see your local Cruiseco agent. Captain Cook Cruises is offering fantastic day trip bonuses to the Barossa Valley or Kangaroo Island, worth up to $635 per person, for anyone booking and travelling on a three, four or seven night Murray Princess cruise in January or February 2017. 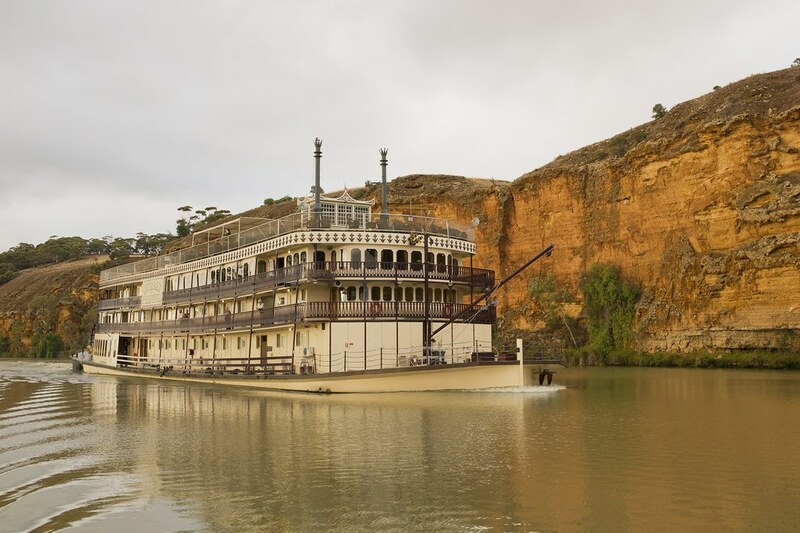 Murray Princess three, four and seven night cruises explore the Murray River, its terrain, wildlife and Australian history and culture. Each day features exciting day trips to historic ports and places and follow the food and wine trial for tastings on-board or at several vineyards and cellar doors along the river. Enjoy guided nature walks and eco-tours, learn about the thriving ecology of the river and get up close to the river’s 20-million-year-old cliffs and amazing birdlife including darters, herons, pelicans and egrets on the ‘Dragon-Fly’ Flat Bottomed Boat vessel. Join the Captain for a general inspection of the wheelhouse, participate in lively quizzes, play some bocce on the riverbank or relax with some fishing off the ship. 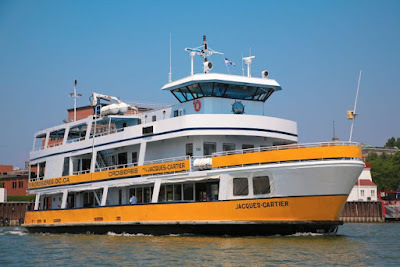 On-board, enjoy the rivers enchantment and beauty from the Murray Princesses open top deck or from one of two air-conditioned paddlewheel lounges displaying views of the working paddle wheel. Cruise past towering limestone cliffs, riverbanks lined with mallee scrub and red gum forests and amazing everchanging scenery. Book a three-night Discovery cruise in an inside cabin, starting from AU$926 per person, twin share and receive a free Barossa Food & Wine Experience or a Barossa & Hahndorf tour worth $139 per person. Sample some of the Barossa’s finest wines and gourmet food on the full day, Barossa Food & Wine Experience and visit Adelaide's oldest German settlement, Hahndorf, to explore the many picturesque cafes, shops and galleries full of local arts, crafts and German produce on the Barossa & Hahndorf tour. 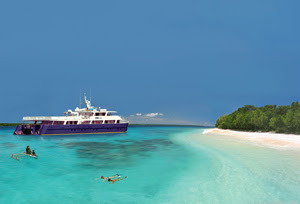 Book a three-night Discovery Cruise in an outside cabin starting from $1262 per person, twin share, or a four-night Outback Heritage Cruise in an inside cabin starting from AU$1266 per person, twin share and receive a 1 Day Kangaroo Island Experience or Seal Bay Discovery tour worth $275 per person, including SeaLink coach and ferry transfers. The 1 Day Kangaroo Island Experience visits Seal Bay Conservation Park; Hanson Bay Wildlife Sanctuary and Flinders Chase National Park to see nature’s Remarkable Rocks, Admirals Arc and the Long-Nosed Fur Seals. Book an Outside Cabin on the four-night Outback Heritage Cruise starting from AU$1694 per person, twin share and receive a Barossa Wine & Heritage Tour including a visit to two premium wineries, lunch and fantastic scenery before returning to Adelaide to spend two nights at The Sage Hotel in Adelaide including breakfast, worth $319 per person. Book a seven night Murraylands and Wetlands Cruise in an inside cabin starting from AU$1888 per person, twin share and receive two nights at The Sage Hotel, Adelaide, including breakfast and a 1 Day Kangaroo Island Experience, worth $439 per person including SeaLink coach and ferry transfers. Book an outside cabin on the seven night Murraylands and Wetlands Cruise starting from AU$2646 per person, twin and enjoy the 2 Day Best of Kangaroo Island tour for free, worth $635 per person. The 2 Day Best of Kangaroo Island Tour visits the Emu Ridge Eucalyptus Distillery; Kangaroo Island Wildlife Park; Seal Bay Conservation Park; a spectacular Birds of Prey free-flight presentation at Raptor Domain; Clifford’s Honey Farm; Hanson Bay Wildlife Sanctuary, Flinders Chase National Park to see the Remarkable Rocks and Admirals Arch. Lunch is included both days and overnight accommodation at including breakfast, at American River, Penneshaw or Kingscote. Prices include the free bonus trips throughout January and February 2017, accommodation, all meals, guided nature walks, eco-excursions, onboard presentations, onboard WiFi, the Captain’s Dinner and Cocktail Party, live entertainment, use of ship’s facilities including a sauna, spa, sun deck, bar, two lounges, restaurant and mini gymnasium and complimentary scenic coach transfers from Adelaide or car-parking in Mannum. AdventureSmith Explorations offers the winter relief of journeys to sunny and warm destinations – with bargains for anyone who can act now. The Panama Canal springs to life on an eight-day itinerary encompassing Costa Rica and the Panama Canal. Guests who choose a Costa Rica & Panama Canal cruise departing on select 2017 dates and book by December 31, 2016, can select from; free round-trip airfarebetween Miami and Costa Rica/Panama City, plus a free overnight Panama City tour extension, which includes a private dinner at the Miraflores Locks, a city tour and a visit to the Frank Gehry-designed Bio Museum; or a $500 air credit if they cannot stay the extra day. 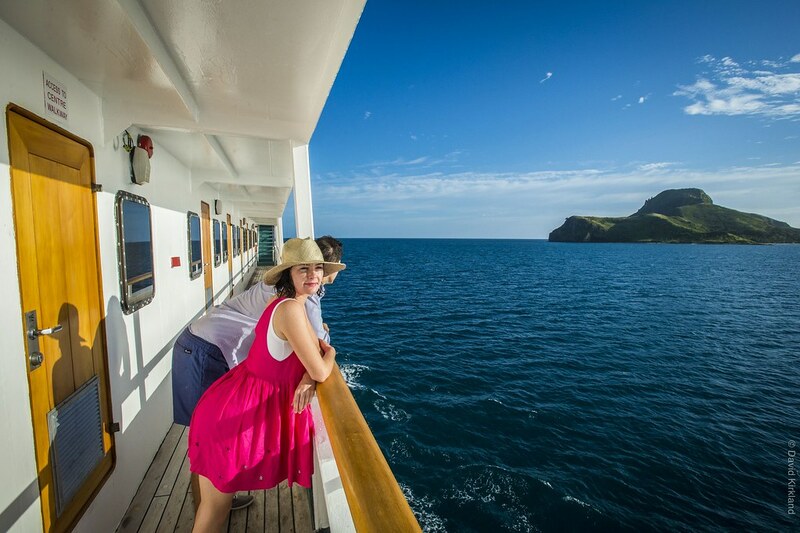 In the Galapagos select January and February departures of sister 16-guest catamarans come with savings of $500 if booked before Dec. 31, 2016. 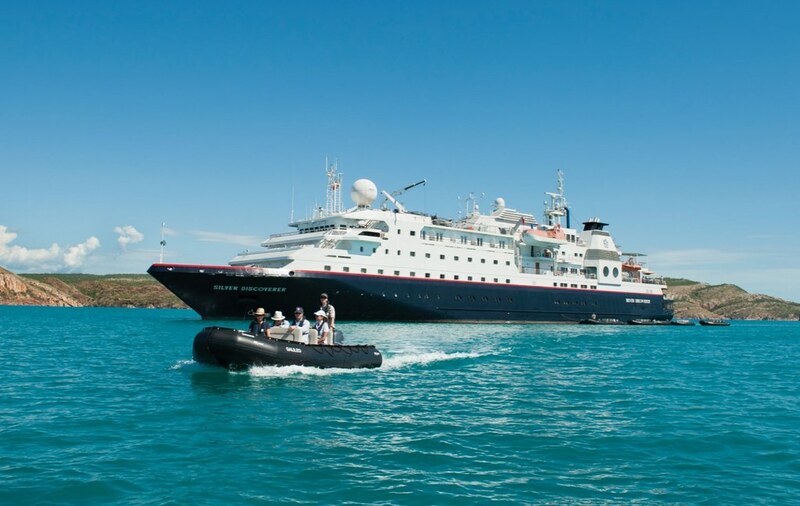 The luxury Petrel dates to 2015 and Cormorant to 2011; each serves as home base for a comprehensive Galapagos Islands cruise. 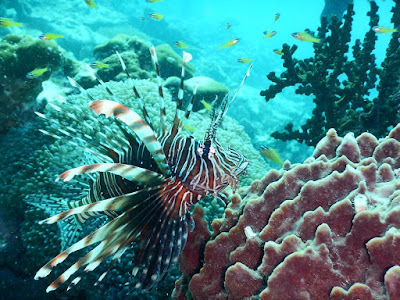 Spectacular year-round, this famed archipelago is especially fun at the start of each year as water temperatures are on the rise making it the ideal time for snorkeling. 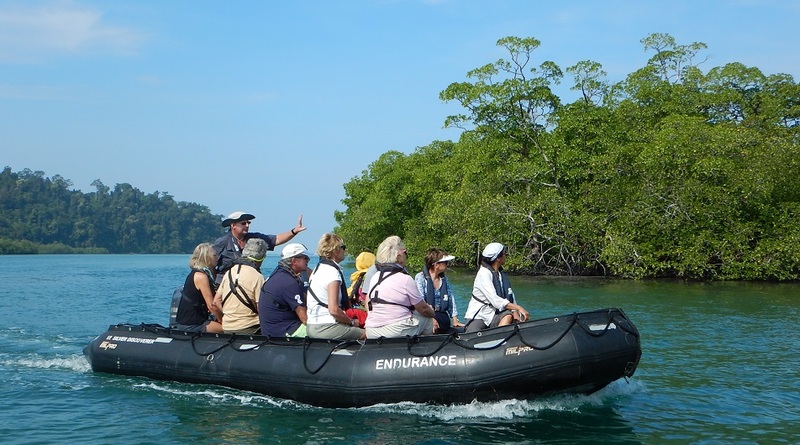 The regular rate for this four-day program is from $3,090 (Cormorant), or $3245 (Petrel) per person double. Wild Alaska Escape: Six days aboard the 62-guest National Geographic Sea Bird. The most active adventure offered by Lindblad, this expedition in wild, pristine Alaska was designed for those with limited time, but an unlimited sense of adventure and the opportunity to engage in some challenging activities. On this expedition you will explore the region’s iconic wildlife and epic landscapes, and call at the ancient Chilkat Tlingit village of Klukwan. In Haines the “adventure capital of Alaska,” activities include a three-hour bicycling trip around a stunning glacial lake; half day hikes up a few of the region’s most dramatic mountains or, for the most fit, a trek up Mt. Riley. Others may choose to float down the Chilkat River, through an area rich with native tradition as well as the largest congregation of bald eagles in the world. In the more remote stretches of the voyage, enjoy guided, point-to-point kayak trips with the ship as your moving basecamp. 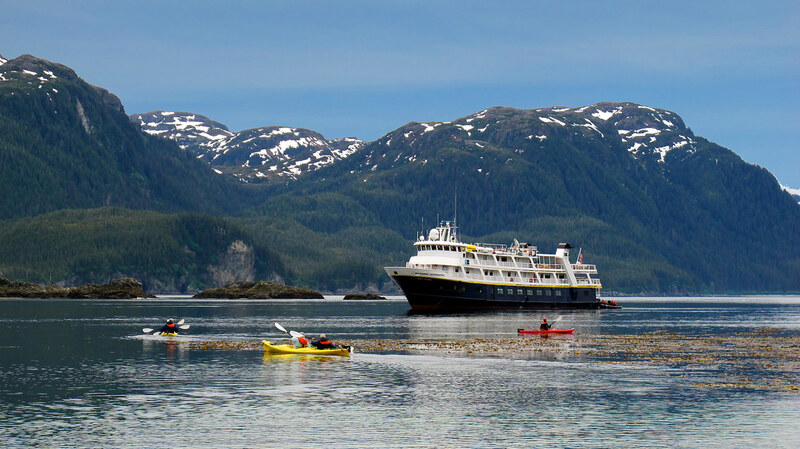 Or, head out in expedition landing craft to zip around sculpted icebergs, or to land on remote beaches for hikes in dense and dramatic Tongass National Forest. Rates begin at $4,290 per person based on double occupancy in a category 1 cabin, with 12 departures beginning May 27 through August 30, 2017. Big Picture Alaska: an 11 day expedition aboard the 62-guest National Geographic Sea Bird spanning the full north-south expanse of Alaska’s Inside Passage, with a special focus on photography. The immersive, wide-ranging photo expedition takes Lindblad’s wildly popular week-long expedition and expands it, adding in the striking Misty Fiords at the lowest reaches of Alaska’s inside passage and Haines, “Alaska’s Adventure Capital” in the northernmost corner. It’s the perfect mix of small-town life and the grand expanse of the wild landscape that surrounds it. Guests will raft though the Chilkat Bald Eagle Preserve; explore Glacier Bay National Park; search for humpback whales with time in Clarence Strait, a popular feeding area; kayak amid glacial ice, hike the Tongass National Forest and learn about the region’s rich Tlingit heritage – while shooting with the expertise of an industry-leading expedition photography team of National Geographic photographers and Lindblad-National Geographic certified photo instructors. Rates begin at $8,990 per person based on double occupancy in a category 1 cabin. Four departures beginning June 16 through August 5, 2017. Canadian polar cruise specialist, One Ocean Expeditions (OOE), elevates the expedition cruise travel experience well beyond tourism by enhancing its programs with innovative scientific, educational and exploration opportunities in the Antarctic. OOE’s 2017 Antarctic season voyages have a strong emphasis on science and education and include an impressive roster of world leading marine biologists, scientists and experienced staff. The ‘Antarctic Peninsula Adventure’ (Feb 15-25 and Feb 25-March 7, 2017) and ‘Marine Mammals of Antarctica’ (March 17-27, 2017) call like-minded travellers and wildlife enthusiasts to travel alongside world leading marine biologists. Each voyage offers a wide range of activities and excursions that provide an in-depth and enhanced knowledge of the environment and the abundant wildlife they encounter. Minke, humpback and killer whales, as well as leopard and Weddell seals, can be seen in great numbers at that time of the year. Internationally acknowledged marine mammal scientists join these voyages allowing guests to observe their fieldwork in close proximity. OOE’s scientific team of cetacean experts includes leading researcher, Dr. Ari S Friedlaender, Ph.D. Associate Professor, Fisheries & Wildlife Marine Mammal Institute at Oregon State University. Dr. Friedlaender will share cutting-edge scientific research results with passengers and encourage them to participate with ongoing cetacean sighting programs during the voyage. The experts’ guidance provides valuable and fascinating insight into the world of Antarctic science with an underlying message of conservation through education and inspiring experiences. “One of the most critical parts of our science is being able to better communicate our findings with the broader community. Our tag and drone work will be presented to passengers and we will also show images of whales from above and how they behave as well as animal-borne video from our tags. This unique perspective will allow both scientists and passengers to share the amazing lives of whales in Antarctica”, states Dr. Friedlaender. In addition to the scientific research viewing opportunities OOE’s expedition cruises offer a wide diversity of excursions and activities on and off the vessel such as hiking and sea kayaking. Daily zodiac excursions will carry GoPro Underwater Viewing Apparatus and hydrophones to provide unparalleled live underwater viewing opportunities. Evening seminars and workshops led by expert marine biologists, geologists, historians and guest photographers also take place daily. The 10-night Antarctic Peninsula voyages depart from Ushuaia, Argentina, February 15th and 25th, 2017. Cost starts at US$8,795 per person for a triple share. 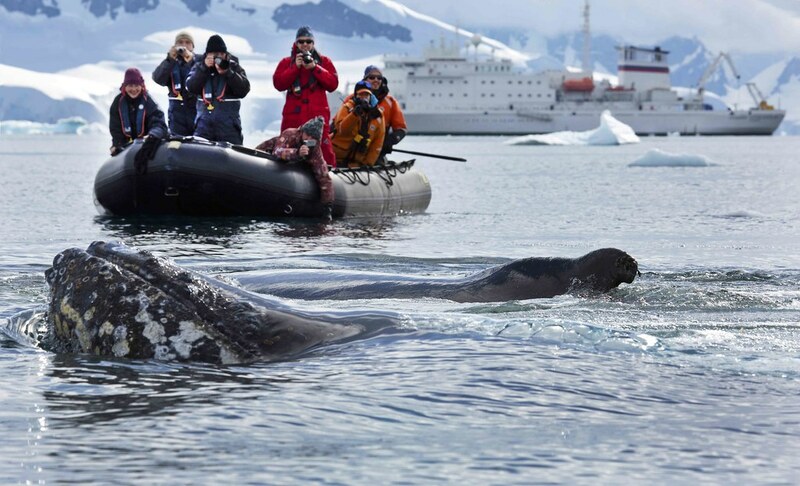 The 10-night Marine Mammals of Antarctica voyage departs from Ushuaia, March 17th, 2017. Cost for triple share starts at US$7,795 per person. Included are transfers, shipboard accommodation, all meals on board, daily excursions, activities, workshops and use of OOE’s high-quality wet weather gear. 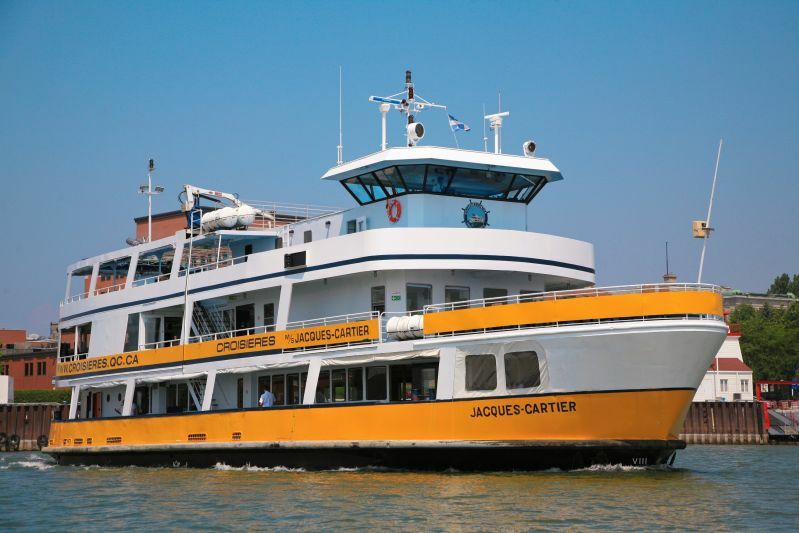 Croisières M/S Jacques-Cartier is planning to start-up on the St. Lawrence in 2018, bringing a 100-plus-years family sea-faring tradition to the cruise industry. The ship, which was most recently a sight-seeing vessel operating out of Trois-Rivières, will be converted into a 66-passenger cruise ship, according to Vice President Maryse Camirand. President Michel Harvey is a fourth-generation captain. The family has owned the ship for over 40 years. Also involved with the project is Yolaine Masse, known in cruise industry circles from her time as Director of Tourism for Trois-Rivières. According to Camirand, the family took a step back from the maritime world in 2012, and spent three years building a business case for starting a St. Lawrence-based cruise line. That is now reality, with funding in place to convert the ship. 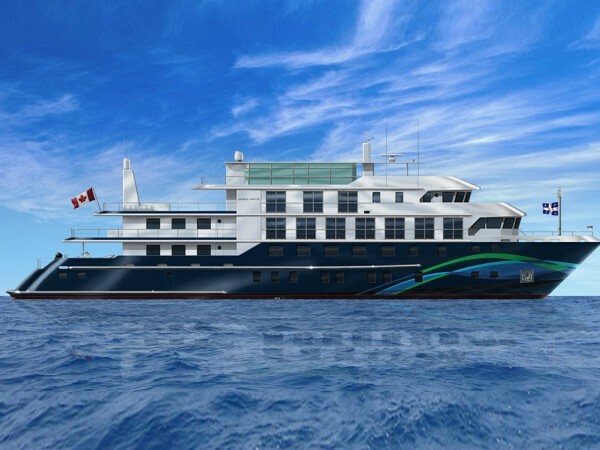 She said the ship would introduce yacht-like designs, as the company has retained a renowned yacht designer. Deployment will be finalized in the first quarter of 2017, but those online can vote on itinerary choices on the St. Lawrence. The main homeport will be Trois-Rivières., but the ship is also expected to use Montreal and Quebec City, and possibly Toronto, depending on demand. Camirand told Cruise Industry News that beyond the nine major cruise ports on the St. Lawrence, there were bays, islands and other features the big ships could not get to. It’s these stops that they hope to use to help differentiate their product, which they are marketing as “active,” including kayaking, hiking and other activities. “We want people to be healthy, move and discover something on their vacations,” said Camirand. Navigate through the geological wonders of Indonesian Islands on an 8-day voyage aboard the newly refurbished Silver Discoverer. Departing from Bali, Indonesia, on 23 November 2017, Silver Discoverer sets sails to Tanjung Wangi, the eastern tip of East Java, where guests are surrounded by one of the most volcanically active areas in the world. 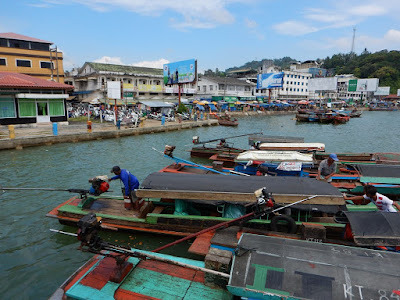 From here, Silver Discoverer journeys to Sumenepand the surrounding areas, which are home to a number of traditional arts and crafts – among them the production of Keris (daggers), batik, Karduluk-style woodcarvings and the Muangsangkal and mask dances. 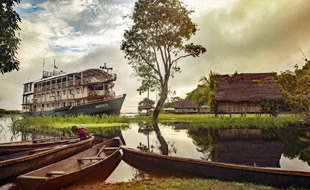 Silver Discoverer continues her journey to Kumai, where guests have the rare and unforgettable opportunity to visit the world famous Camp Leakey and exclusive parts of the nature reserve usually closed to the general public. 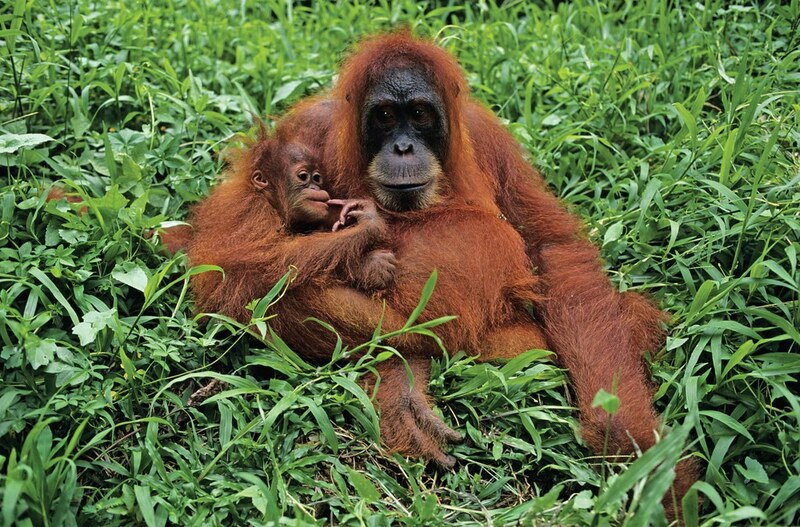 Located in the Tanjung Puting Reserve, in Central Borneo, Camp Leakey is devoted to the conservation of wild Orangutans and their rainforest habitat. In addition to the behind the scene access and personal guided visit of Camp Leakey by founder, world renowned environmentalist, anthropologist and orangutan expert, Dr. Galdikas, our guests onboard Silver Discoverer will enjoy a series of lectures on the subject before and after the private visit. After experiencing this truly memorable occasion, Silver Discoverer sails to Badas Islands. With a vast array of stunning sandy beaches and coral reefs, guests can explore the depths of the ocean floor as they swim, dive or snorkel in the turquoise waters. The voyage concludes in Singapore with guests disembarking on 01 December 2017. 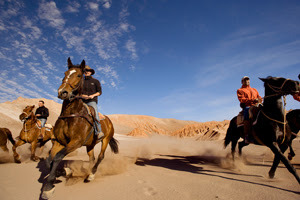 Prices are per person starting from AU$7,150 - in an Explorer Suite, based on double occupancy. Silversea Expeditions’ fares include: all shore and Zodiac excursions hosted by an expedition leader; all-suite accommodation with butler service; gourmet meals with menus inspired by Relais & Châteaux; complimentary wines, Champagne and spirits served throughout the ship; an outstanding expedition team of expert guides and lecturers; complimentary WiFi and all gratuities. Early Booking Bonus: Save 10% if you book and pay in full by 30 December 2016. This voyage is subject to availability. Terms and conditions apply. For more information, contact your travel professional or Silversea Cruises on +61 2 9255 0600 or 1300 306 872 or visit www.silversea.com. 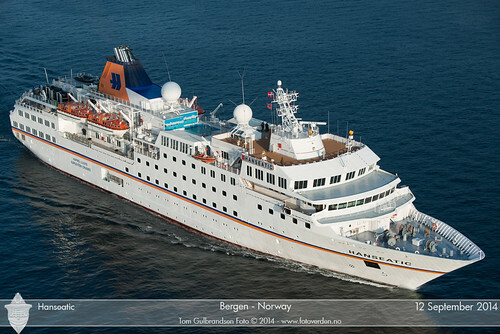 Reservations: International guests, as well as travel agencies, can now make use of Hapag-Lloyd Cruises’ new free-of-charge phone numbers when requesting or booking a cruise. United Kingdom: 0800 0513 829, United States & Canada: 877 445 7447 or 800 334-2724, Belgium: 0800 79 421, the Netherlands: 0800 0220 459; all other countries, please call +49 40 30703070 (English-speaking hotline) – or - send an e-mail tosalesteam@hl-cruises.com or visit www.hl-cruises.com/contact-services for local agents. Lindblad Expedition’s newest addition to the fleet, the 96-guest National Geographic Endeavour ll, made its inaugural voyage on Saturday, December 3, one month ahead of schedule. The first voyage was the 17-Day Epic Galápagos Photography Expedition. Before making its way to the Galapagos, National Geographic Endeavour ll was celebrated in Guayaquil with a traditional Ecuadorian religious blessing. Sven Lindblad, CEO of Lindblad Expeditions, hosted the celebration and onboard festivities, where he welcomed his special guests - members of the ship’s crew and their families. 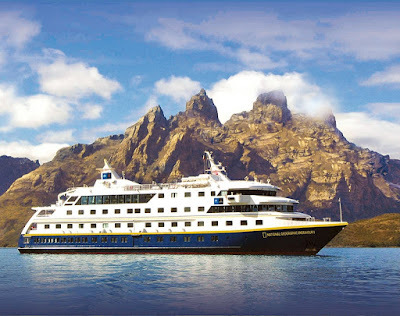 Billed as the newest and most family-friendly ship in Galapagos, National Geographic Endeavour ll offers the choice of suites on two decks, double cabins with beds that can be configured as two twins or a queen, seven sets of connecting cabins for families and friends, triple cabins, and dedicated solo cabins, which are equal in size and amenities to the doubles. The ship’s shallow draft affords up close viewing from all public spaces, large windows in cabins and suites, state-of-the-art tools for exploration, and a fast twin Zodiac loading platform. To celebrate the ship’s inaugural and the upcoming 50th Anniversary of Lars-Eric Lindblad’s pioneering voyage to the Galapagos, Lindblad is offering guests on National Geographic Endeavour ll free roundtrip air from Miami to Galápagos on all departures January 6 – March 31, 2017, a savings of $1,300 per guest. Throughout 2017 free air will also be offered on select departures on National Geographic Endeavour ll and the 48-guest National Geographic Islander. The offers cover both international air from Miami to Guayaquil, and the flight from Guayaquil to Galapagos. The free air offer is applicable to new bookings only and is subject to availability. Cross the Indian Ocean around the coast of Africa aboard the newly refurbished Silver Discoverer, on a stunning 12-day voyage. Departing Mahe, Seychelles, 30 January 2017, guests can marvel at the palm tree spotted islands that are often regarded as the Garden of Eden. After exploring the Seychelles’ islands of Praslin and La Digue, Silver Discoverer continues her journey towards the island of Abbu Atoll of Maldives, where guests have the day to explore the exotic scenery both on land and in the water. Her next point of call, Meemu Atoll, Maldives, sees the cluster of islands circle the main lagoon, where guests can lay on the sun-drenched beaches and snorkel among bountiful reefs. Continuing her journey towards Cochin, India, guests are welcomed with a Kerala musical performance, followed by a traditional lunch and a martial arts display. 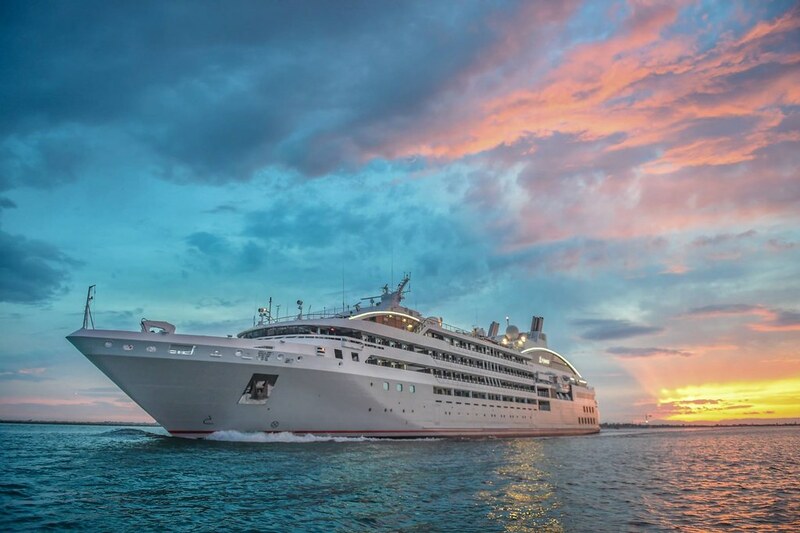 Silver Discoverer redefines ocean travel, providing absolute comfort and unrivalled luxury, including all ocean-view suites, 12 Zodiacs, three restaurants and a top-deck swimming pool. Other highlights of the voyage include: visit to an elephant orphanage and a tour of Padmanabhapauram Palace in Vizhinjam, India, before concluding in Colombo, Sri Lanka. 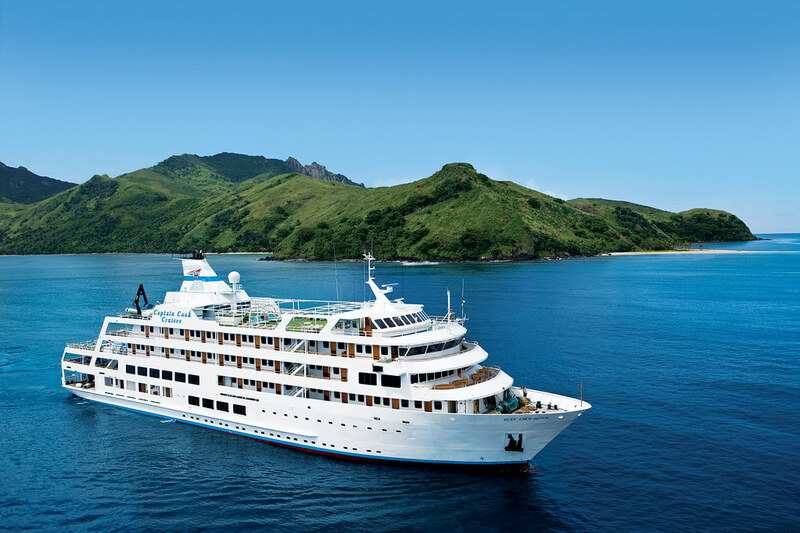 Silver Privilege fares start from AU$11,450 - in an Explorer Suite, based on double occupancy. Silversea Expeditions’ fares include: all shore and Zodiac excursions hosted by an expedition leader; all-suite accommodation with butler service; gourmet meals with menus inspired by Relais & Châteaux; complimentary wines, Champagne and spirits served throughout the ship; an outstanding expedition team of expert guides and lecturers; complimentary WiFi and all gratuities. Silver Select: Book by 30 December 2016 and choose a two category suite upgrade or 50% saving on a second suite. Exclusively for you — Venetian Society Savings: Our Venetian Society guests receive AU$650 savings per suite. The evocatively named Mergui (aka Myeik) Archipelago just to the west of southern Myanmar is a kind of 'no man's land' in the Andaman Sea. Silver Discoverer sailed southward on her return leg to Phuket, stopping briefly for some diving, snorkelling, picnicking and Zodiac cruising among these mysterious limestone and granite outcrops. Ethnic Moken family aboard 'houseboat'. Well known for its nomadic seafaring inhabitants, the Moken or 'sea gypsies', this relatively unspoiled group of islands is covered with lush tropical foliage and vitally important mangrove forests that sustain the hard-pressed fish populations. Someone counted about 800 islands in the group, very few of which sustain any sort of permanent population. The Moken traditionally live aboard their tiny boats most of the time, coming ashore only when the weather turns foul. In recent years, these islands have gained attention from tourism operators, not all of whom have the best intentions. Already there is a 5-star resort and golf club on one of the islands and more are planned. With a history of tension, just how the rest of the group will fair remains to be seen. Small ship cruising, like that undertaken by Silversea and others, offers the opportunity to enjoy and explore the islands without altering them. No wharfs, land clearing, intrusive infrastructure or habitat disturbance is needed by shipboard visitors who come for the very reason the islands are as they are. Marine parks have been established, but policing them is another issue altogether. 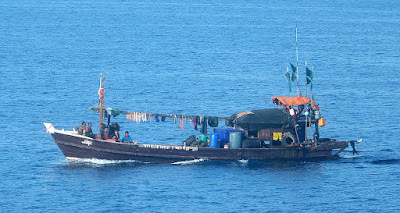 The surrounding waters are heavily fished and the temptation for fishers to come ever closer to the islands is strong. Beaches to impress even the Aussies. The Lampi Marine National Park is one such reserve we visited aboard Silver Discoverer. The 48 kilometre long island is the core and hosts rich tropical lowland wet evergreen forest with trees taller than 26 metres. How they have evaded loggers so far is a wonder. The beaches, bays and secluded coves offer a superb haven and the sand is really as white and soft as baby powder. We anchor off Shark Island and go ashore for a delightful swim and beach BBQ under the shade of massive trees. Even on these isolated islands, the impact of human carelessness is evident as the high water mark is strewn with plastic debris, most notably the dreaded single-use water bottles. Our team made a rudimentary clean-up, but it's an ongoing task. Underwater the rich sea life is evident. Familiar reef fish and schools of bright yellow-striped snapper and fusiliers sweep past us as we fin along the rocky edge. Closer inspection reveals the tiny critters like colourful shrimps, vivid nudibranchs, rare cucumber anemone and miniature clown fish. Like so many 'newly discovered' expedition cruise areas, the wisdom is to see it sooner rather than later. Designed for solo travellers - PONANT releases an extensive range of destinations and voyages with no additional pricing for those seeking single travel. 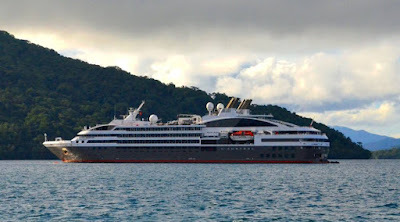 Select from 34 PONANT cruise itineraries spanning both Northern and Southern hemispheres with voyages that include Brazil, Indonesia, Panama, Vietnam, Portugal, the Canary Islands, Australia, Scandinavia, Melanesia and more. Also available, three themed voyages for those that enjoy classical music - Chopin and the Music of Spain, a Tribute to Maria Callas, and a brand new voyage with members of the Vienna State Opera cruising between Venice and Civitavecchia (Rome) on Le Lyrial. On board, creature comforts prevail. Enjoy French luxury and ambiance, and experience the difference small ship cruising offers. Cool off in the swimming pool, enjoy spa therapy to ease tired muscles or simply as a pampering indulgence. An inclusive Open Bar provides guests with the chance to share the day’s experiences with new found friends over a beer, wines, champagne or, perhaps, a cocktail. Later, the choice of fine cuisine, the flavours complemented with world-class wines. 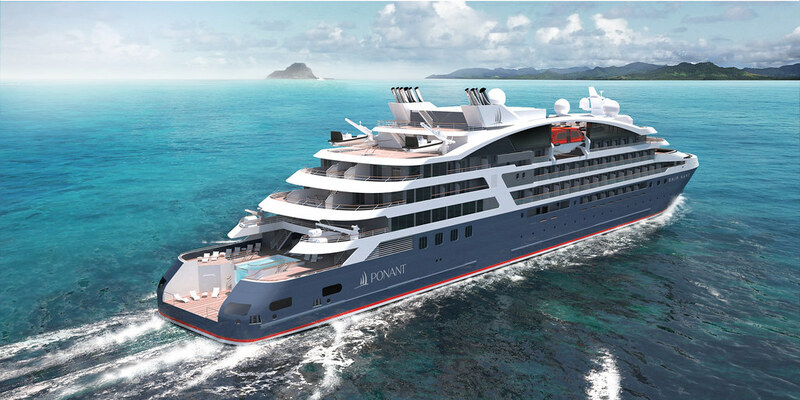 The PONANT fleet forms the youngest fleet of ships in the world. Truly the modern way to explore, in comfort and style, with a touch of je ne sais quoi, and imbued with PONANT’s trademark dash of panache.